Jim has been an independent insurance agent since joining his father’s firm in November of 1985. Working with his father Bud at the Zingen & Braun Insurance Agency, Jim learned early on his father’s golden rule of relationship building and referrals: “if you treat people right, they will tell others”. To this day, Jim prides himself on the relationships he’s built, and his primary belief which is to sell coverage and deliver services to clients the same way he would expect to be treated. Jim and Bud joined Robertson Ryan in 2008. 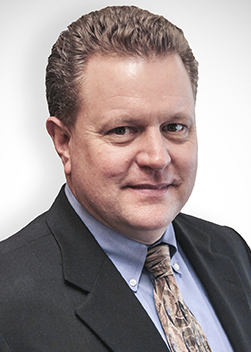 Jim has served on agent advisory panels for CNA Personal Lines, Encompass Pacer, Ohio Casualty and Maryland Casualty. In addition he was active with the PIA of WI and the PIA’s initial formation of the Young Professionals Club. In 2015 Jim celebrated 25 years as a Certified Insurance Counselor, CIC, becoming “vested” in their educational program. In addition to insurance, Jim’s other passion includes work with the Town of Delafield Fire Department as a Fire Captain and Lead Medic I-12. Trainings include Advanced Cardiac Life Support as well as CPR and Basic Life Support and is instructor certified by the American Heart Association. Jim also serves as a lead SCUBA diver for Town of Delafield’s dive rescue team. He is certified by Dive Rescue International and PADI as a Master Diver. Jim’s wife Sherry shares his passion for emergency services, and is an EMS Lieutenant for Town of Delafield Fire Department, EMS teacher at Waukesha County Technical College and an American Heart Association certified instructor. When this dynamic duo are allowed to take a break, you will find them riding their Harleys, boating, wave running, scuba diving, or at the Fin N Feather Sportsman’s Club where they enjoy trap shooting, archery and pistol shooting. They are very proud of their son Tyler, a Waukesha county Sheriff Deputy and daughter Tory, who is pursuing an Animation degree at UW-Stout.